For a long time I looked at all of the kennel covers on the market and just didn't see anything that would give my dogs the protection that they need in the winter months. 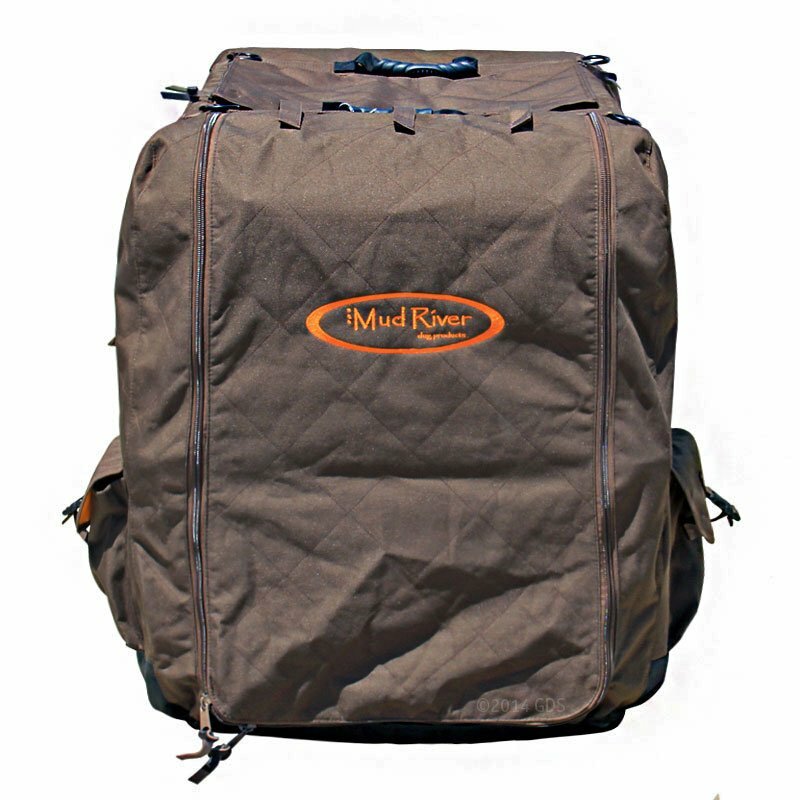 The Mud River Kennel cover is a really well built product. It is obvious that these guys are hunting dog owners that care about the safety and well being of their dogs. "Great product. Don't waste your money on cheaper covers." I live in western Maine where fall temperatures drop quickly during hunting season. I checked out many kennel covers before buying one. 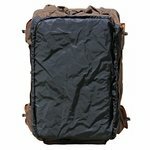 This cover is made of high quality rugged material meant to last. It keeps my dogs warm when transporting and, more importantly, gives them a warm place to rest when rotating dogs. The additional pockets are great for storing bells, beepers, etc. I'll be buying another one for next year's season. Great product. Don't waste your money on cheaper covers. "Very happy with the kennel cover, and the top notch service from Gun Dog Supply." Fantastic product. Fits our dogs kennel very well. Very happy with the kennel cover, and the top notch service from Gun Dog Supply. Thanks! "Fits well and provides good protection from the cold." The cover fits well and provides good protection from the cold. The "window" vents provide cooling as the day warms. Perfect fit for my kennel. My dog loves it and it is high quality material. Super fast shipping from Gun Dog Supply and, as usual, they had the cheapest prices of everywhere I checked. The Dixie Kennel Cover was a great investment. I've never seen a dog so excited to see the kennel being loaded in the truck. She loves it. Perfect for keeping her warm in the winter after we leave the field. 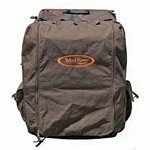 Thank you for providing top of the line gear for the true outdoorsman and his best friend. I like this cover because it is thick and help keep my dog warm on the hour drive to duck camp. Very nice quality! "The Mud River cover is awesome"
Lab and a Mtn Cur. Hunts. 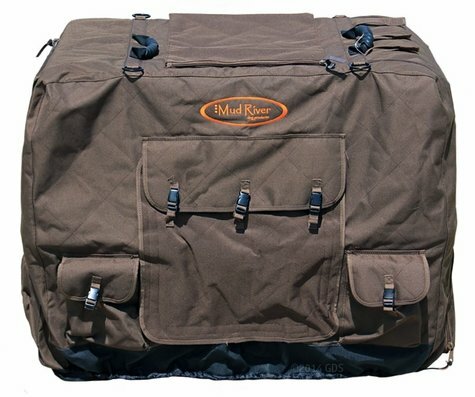 The Mud River cover is awesome.....it is very well built and it keeps my dogs warm and dry to and from my hunting areas. I would recommend this cover over any of the other covers that I have looked at and my dogs would do the same. "Its a great durable product"
Its a great durable product and worked well for years until I let her in the truck and spoiled her on a few cold trips. Now I have the Mud River seat cover that has saved the my truck. "Great product....extremely rugged with great construction." Great product....extremely rugged with great construction. And the shopping experience was fantastic. Very quick shipping and item was delivered as promised. Gun Dog Supply is a great company and will continue to get my business. "It keeps my dog warm and dry after a long day of hunting or competition." It keeps my dog warm and dry after a long day of hunting or competition. 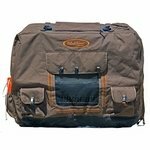 It also has lots of storage space for training and hunting gear that is needed in the field. "It keeps my dog warm and dry during the winter months." I love it, I couldnt ask for a better product! It is unbelievably durable and very warm in the winter. It keeps my dog warm and dry during the winter months. setters/labs/jack russells. Hunts. Family pet. Competes. I have used these covers for my hunting dogs, my field trial dogs and my squirel dogs. They are great.I am also a professional guide at public preserve and have recomended them to other dog owners. This is a gift. I love mine. I live in Minnesota. These covers are awesome. I had one for my three year old and just bought my second one for the puppy. They fit well, are tough as nails and ventilate easily if necessary. But most importantly they keep your dog warm in the cold back end of the truck. "It keep my Lab warm and dry in extreme cold, rain, and snow." Bought the kennel cover for a pheasant hunting trip to SD in November. It keep my Lab warm and dry in extreme cold, rain, and snow. It is durable with heavy duty zippers. The storage compartments on the cover are great for dog supplies. Excellent cover. Make sure to call to get the right size. Plenty of pockets and well built. Windows on the sides aren't high enough, though. "Allows me to keep young Kip confined while I fumble for shotgun, shells, gloves and calls. Also a protected and secure place to ride home while he's wet and dirty." Boykin spaniel. Hunts. Family pet. Competes. Works well. Allows me to keep young Kip confined while I fumble for shotgun, shells, gloves and calls. Also a protected and secure place to ride home while he's wet and dirty. Fits well. Good product and looks like it will last. "Nice tough covers. Keeps the dogs warm." All the pockets on the sides are not needed, or at least I found no use for them. Other than that, nice tough covers. Keeps the dogs warm. A word to the wise: no matter HOW cold it is out, never zip the flap all the way shut! 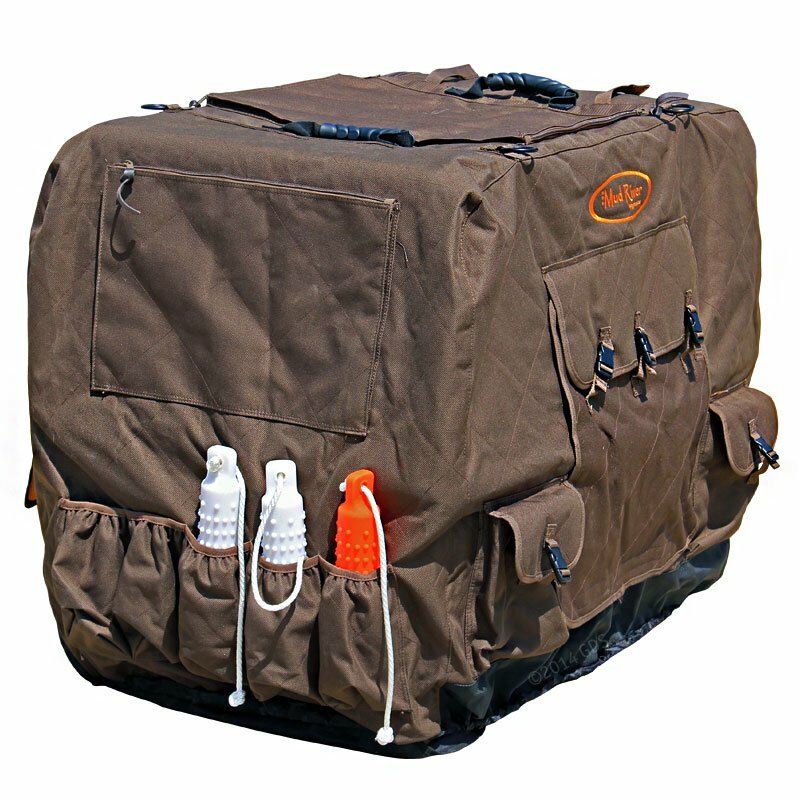 The Mud River Dixie Insulated Kennel Cover has many features that will allow your dog protection from the cold and rain making your standard dog crate a warm, dry and comfortable place for your hunting dog. It will keep the inside of your crate 20-40 degrees warmer than the outside air temperature (depending on size of dog, working or resting dog, windows on or off, door up or down). 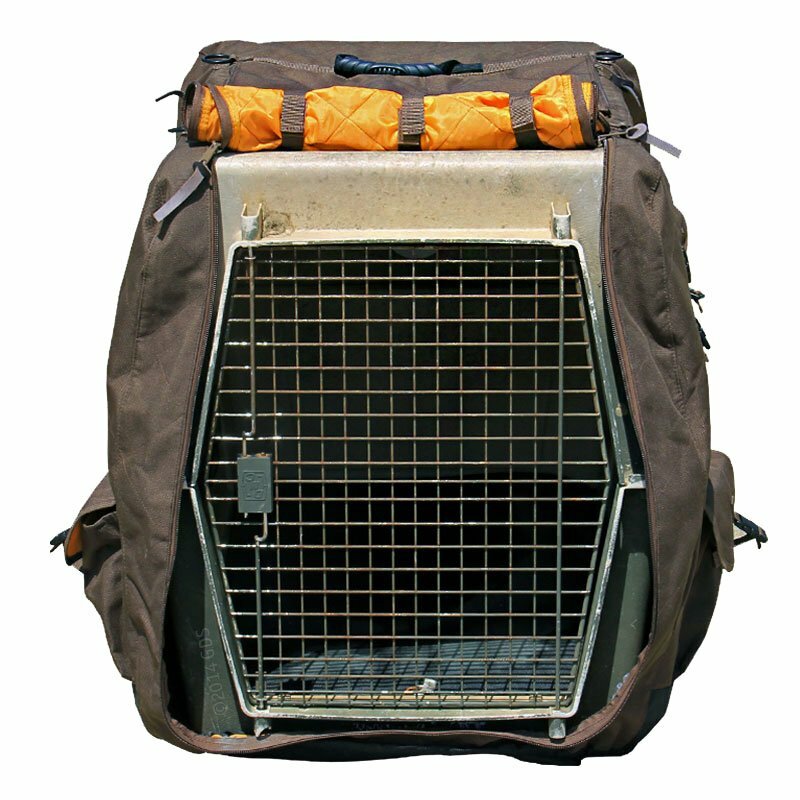 Features on the Dixie Dog Crate Cover include MicroLite3 insulation, a 2-ply infused 1200D Poly industrial grade bottom that is built to withstand years of abrasion, water-resistant coating for protection in foul and unpredictable weather, rubber handles on the top making it easy to move and carry, and 4 side D-Rings for securing the kennel in the back of your truck. Rubber mesh over each window and velcro loops on the front allow you to open up the sides and roll up the front flap for proper air flow when the weather warms up. The Mud River Kennel cover also has multiple side, rear, and top pockets and storage areas that help you keep all your dog training gear safe and secure. Comes with a 1-year manufacturer's warranty. The Dixie Cover is NOT waterproof but the material is naturally water resistant. If the cover were 100% waterproof you would run the risk of suffocating your dog inside the crate. 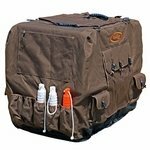 About how much warmer will the Dixie cover keep the inside of your crate? Innovation and Animal protection is a driving force at Mud River. Our pursuit of superior product performance will only enhance the Human and Animal relationship. Keeping with our quest for your dog's well being, we have loaded our kennel covers with a wealth of health benefits. Chosen material is a 2 ply infused 1200D that has a Water-Resistant coating for protection in foul and unpredictable weather. Worry not -- when the mercury drops the microlite 3 insulation will supply thermal bliss. You will also find that we have placed a tough and tumble rubber mesh over each window to ensure air is dispensed properly and to secure fit while running 70. 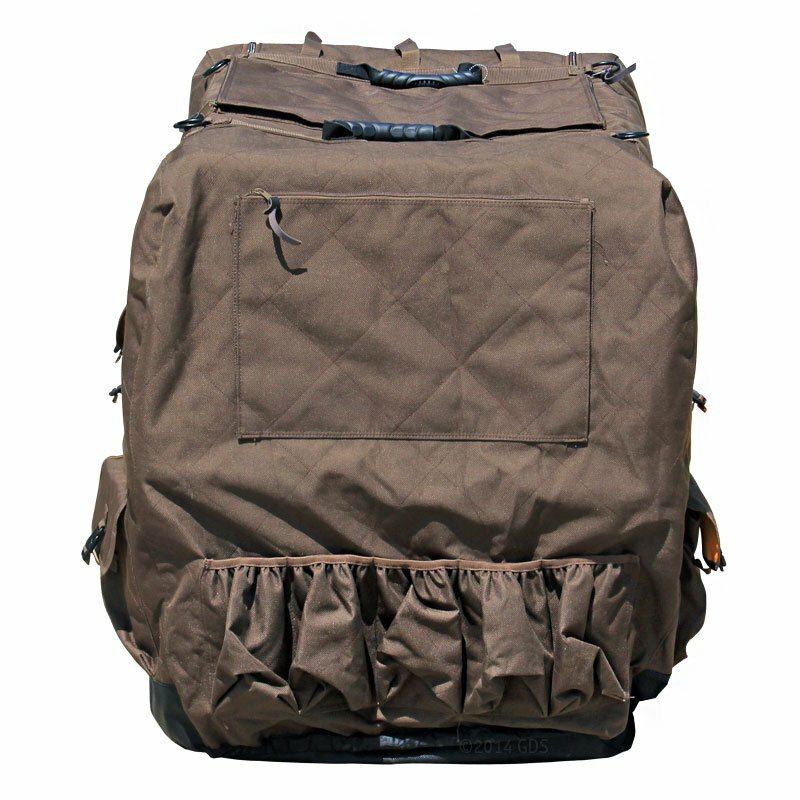 While the need for gear is essential you will find stash pockets in all the right locations. The industrial grade bottom was not an afterthought, built to withstand years of abrasion.